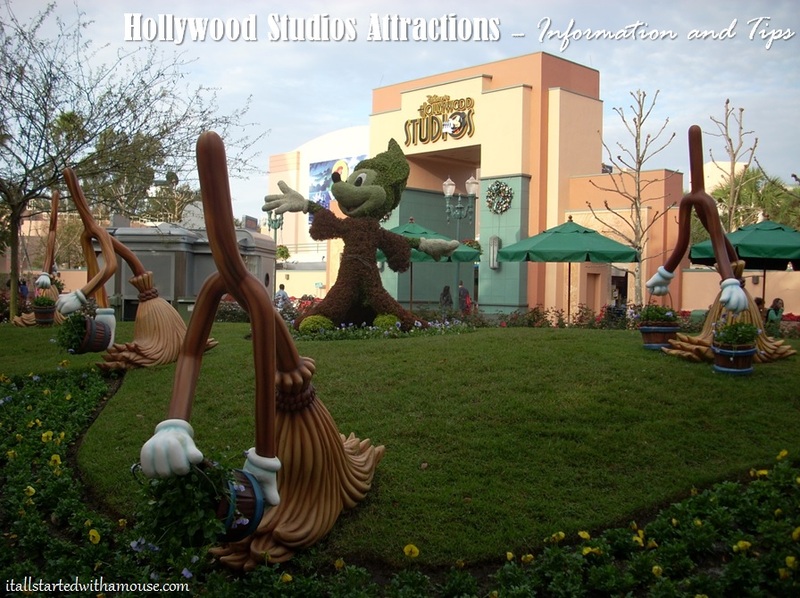 As Hollywood Studios gears up for some major changes (including a name change), I will keep this updated! Join your kids favorites from Disney Junior, like Jake and the Never Land Pirates and Handy Manny for this fun performance. During evening Extra Magic Hours, it becomes a toddler dance party! This playground features giant grass and bugs, just like the 90’s favorite, Honey, I Shrunk the Kids. Grab your 3D glasses and hang out with Kermit and friends to experience Jim Henson’s last production. Board your super-stretch limo and take off to make it to the Aerosmith show on time! Tip: This dark roller coaster launches you to 58mph in 2.8 seconds and includes 3 inversions. If this doesn’t sound like fun to you, hang out in the gift shop, it’s pretty neat. Climb aboard your StarSpeeder and join R2-D2 and C-3PO as they adventure all over the galaxy and with 54 different storylines, you will want to ride this attraction over and over again! An interactive walk-through exhibit that features movie props, videos, games, and meet-and-greet with Star Wars characters Chewbacca and Kylo Ren. The movie shown in the Launch Bay Theater features interviews with the creators of the new Star Wars films and a brief preview of Star Wars Land coming to Hollywood Studios. In the game section, you can test out Disney Infinity 3.0 Star Wars characters and playsets (if you haven’t already!) or try Angry Birds Star Wars. Finally, don’t forget your wallet because in true Disney fashion, you will end in a Star Wars gift shop with high end memorabilia that can run you $4,000 for an authentic Darth Vader costume! Join Woody, Jesse, Buzz and all their friends in this fun 3D arcade adventure!